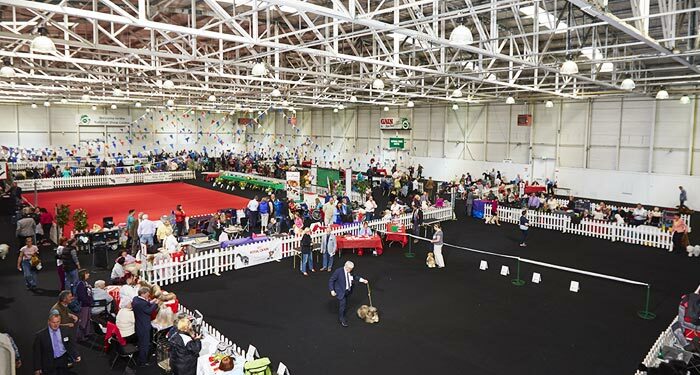 The National Show Centre is ideally located just off the R132 dual-carriageway (Dublin road), adjacent to Dublin airport, the M50 and M1 motorways, and Swords. 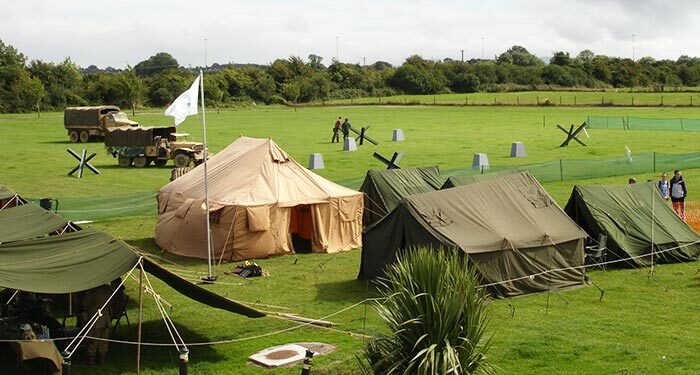 It is 20 minutes from Dublin City Centre using the Port Tunnel. The venue is easily accessible and is well serviced by bus routes as illustrated on the map below. * Note: The NSC is accessed via Stockhole Lane. Its proximity to strategic transport infrastructure and the many hotels in the area makes this venue a convenient location for both delegates and exhibitors. 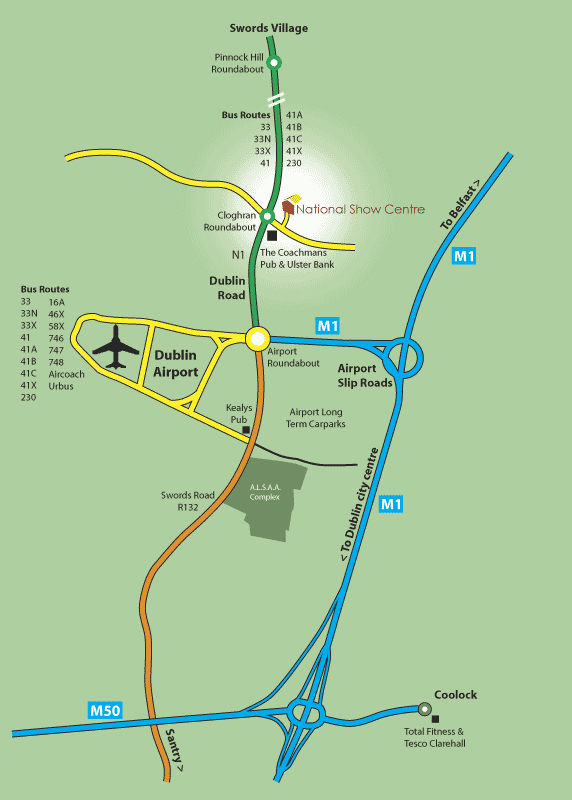 The National Show Centre is 20 minutes from Dublin City Centre using the Port Tunnel. 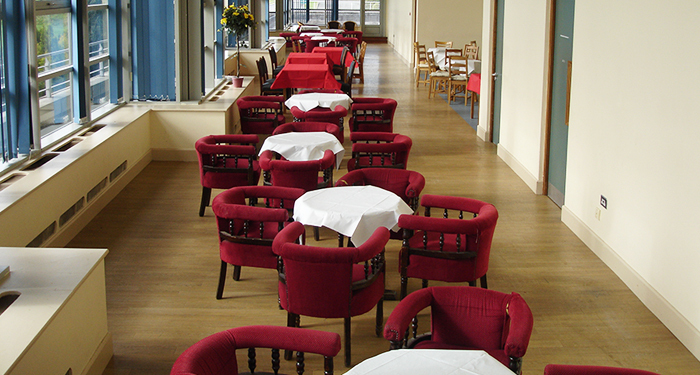 The National Show Centre has a number of facilities for hire. 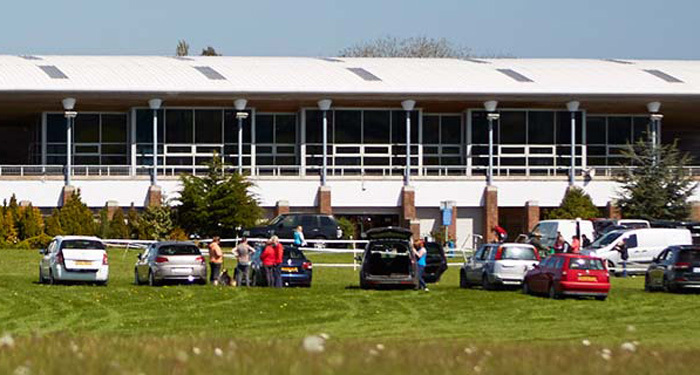 The National Show Centre is hosting a number of upcoming events. View photographs and videos from the National Show Centre.